1. Share about your most memorable birthday celebration. What age were you turning? What made it memorable? 2. What comes to mind when you think of the word "humble?" 3. When do you find yourself most interested in self? 4. Who has been a good example of a servant to you? What distinguishes them as so? 5. In what area of your life is it the most difficult for you to "die?" 1. What are some trivial things that 21st century Christians argue about? 2. What are some Christian beliefs that are definitely in the "essential" category? Name some that are definitely "non-essential." 3. What should we do, as a church, with contentious people? How do you feel about this? 4. 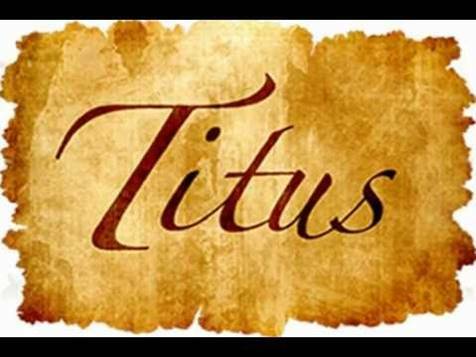 How do you see Paul contrasting being right with doing right in Titus 3?